-Fraps is a program me and many other users use to record footage. Fraps basically just records your un idle screen/gaming screen. Fraps cannot record your actual desktop, it could only record games. It's a prefered tool for gamers. Fraps is probably the best tool. The paid version has no time limits. However it doesn't matter if theirs a time limit or not because you could simply edit clips together. The free version records 30 seconds. But as i stated before, it's fine. 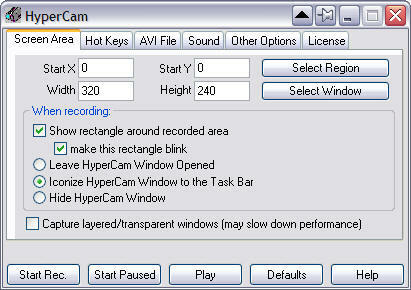 -HyperCamis a program used to record your desktop. For example, if you're making a tutorial on how to register to youtube. You could use hypercam to record your web browser. HyperCam is a free program, but it's not very good for gaming. Hard to explain to someone how to do something on a computer? Show him/her a screen demo video, or share your screen with him/her remotely! How to save a favorite flash streaming video to hard disk? The simplest way is to record the video off the screen just like a camcorder shooting screen! Wanna to make your own game movies? Wanna to share your cool game play with your friends? The unique game recording feature makes it easy! -Sony Vegas Pro 10 collection integrates two powerful applications that work seamlessly together to provide an efficient and intuitive environment for video and broadcast professionals. This comprehensive suite offers the most robust and progressive platform available for content creation and production. With broad format support, superior effects processing, unparalleled audio support, and a full complement of editorial tools, the Vegas Pro 10 collection streamlines your workflow. 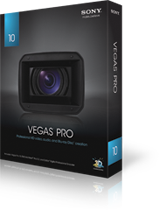 From acquisition to delivery, from camera to Blu-ray Disc™, the Vegas Pro 10 collection delivers exactly what you need to produce outstanding results. 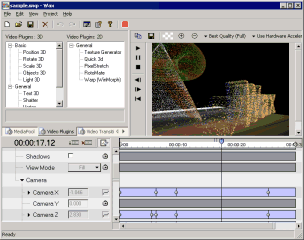 -Wax is a high performance and flexible video compositing and special effects software. The idea for Wax is to be very general purpose and flexible in video compositing and effects, so that you can compose your dream video sequence with ease everytime. Really? It works for me... hmm, odd. [.img] remove the dots. [./img]? or are they like, [gif] url [/gif]? "You don't have permission to access /images/fraps_win33.gif on this server." Fraps too hard to figure out. Zigg wrote: Fraps too hard to figure out. I can't get it to work. Sigh. I can bind hotkeys fine, they just don't activate anything. Could you recomend me a recording thingy? Free and easier to use then fraps?